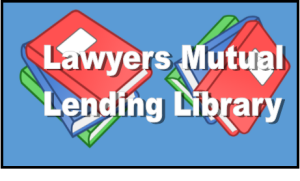 The Lawyers Mutual Lending Library is one of our most valuable risk management resources. Chances are if you have a question or concern in your practice, we have a book to address the topic in our library. The Lawyers Mutual Lending library boats over 100 titles that range in subject matter from marketing to cybersecurity. Some of our most popular titles are our Lawyers Guides. There’s literally a “Lawyers Guide” to just about everything. The Lawyer's Guide to Balancing Life and Work by George W Kaufman- If you are dominated by work from the moment you arise until the moment you turn off the lights at night, you are not alone. This book is about how the law fits inside you, not how you fit inside the law. The Lawyer's Guide to Collaboration Tools and Technologies: Smart Ways to Work Together by Dennis Kennedy and Tom Mighell - This first-of-its-kind guide for the legal profession shows you how to use standard technology you already have and the latest "Web 2.0" resources and other tech tools, like Google Docs, Microsoft Office and SharePoint, and Adobe Acrobat, to work more effectively on projects with colleagues, clients, co-counsel and even opposing counsel. The Lawyer's Guide to Governing Your Firm by Arthur G. Greene - This guide is a practical resource for those firms that want to provide better client service and at the same time, improve the working environment for both lawyers and staff. It provides strategies to change the climate of the law firm, boost morale, and effectively and efficiently manage the firm. Issues discussed range from leadership and partnership issues to the basics of running the office. The Lawyer's Guide to Marketing on the Internet by Gregory H. Siskind, Deborah McMurray and Richard P. Klau- In this up-to-date third edition of The Lawyer's Guide to Marketing on the Internet, you'll learn how to make the latest technology work for your practice and increase your firm's visibility. This comprehensive resource provides proven online marketing strategies and guides you on how to effectively and efficiently market your law practice. The Lawyer's Guide to Practice Management Systems Software by Andrew Z. Adkins III - What can practice management systems software do for a law practice? 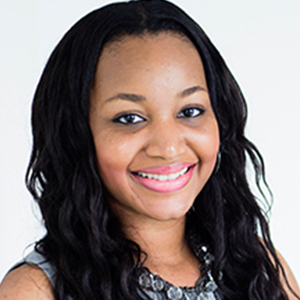 With the right system in place, a law firms and staff will have the ability to automatically route items, tasks, documents, and events to certain people based on their role in the case or matter, as well as manage deadlines, improve responsiveness to clients, reduce malpractice insurance rates, and boost overall productivity. The Lawyer's Guide to Strategic Planning: Defining, Setting, and Achieving Your Firm's Goals by Thomas C. Grella and Michael L. Hudkins - This new resource is your guide to planning dynamic strategic plans and implementing them at your firm. You'll find specific suggestions on strategic planning for any size firm, in any practice area. The Lawyer’s Guide to Records Management and Retention by George C Cunningham & John C Montana - This book addresses the issues arising from the need to manage records and information in a law office.